1805205 Acme - 1968 Pontiac Firebird Hardtop. 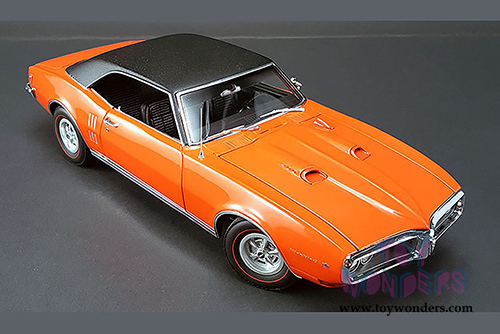 1:18 scale diecast collectible model. 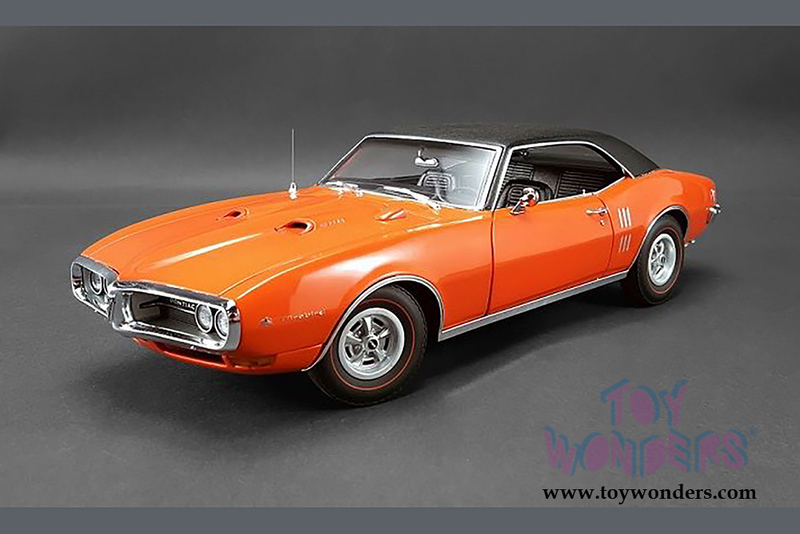 This Pontiac Firebird features cloth seat belts and poseable steering. 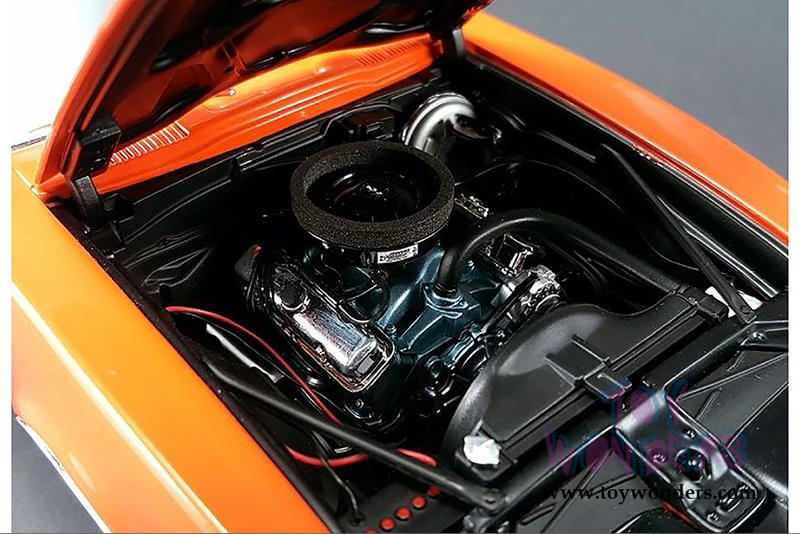 Plumbed and wired engine, and serialized plate. 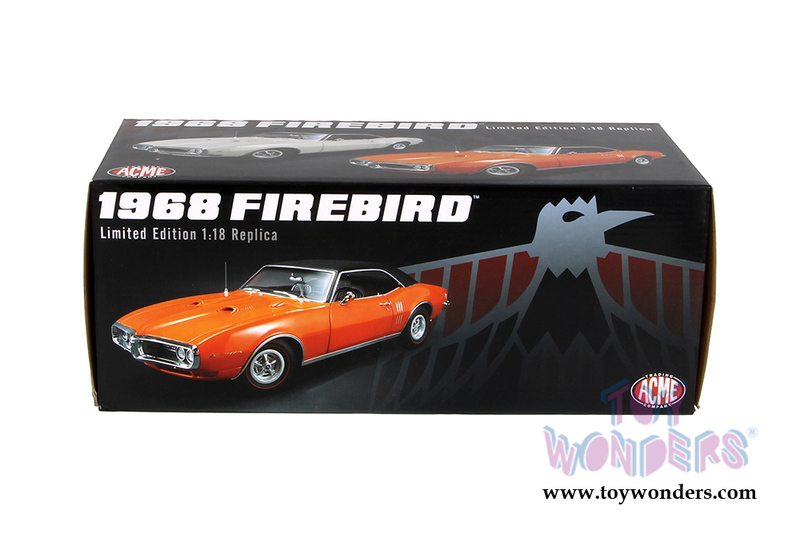 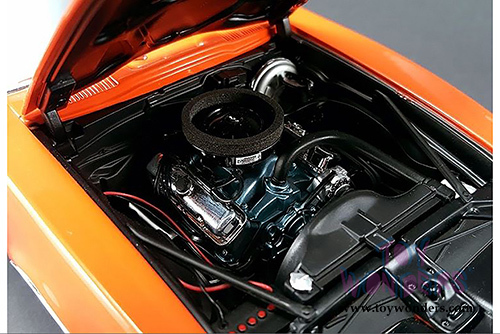 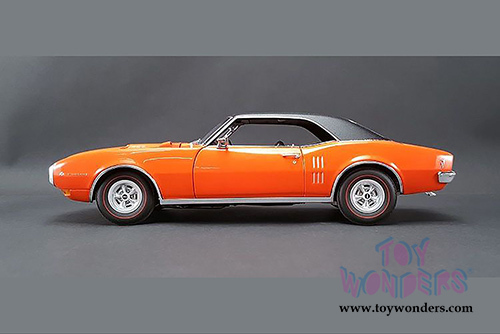 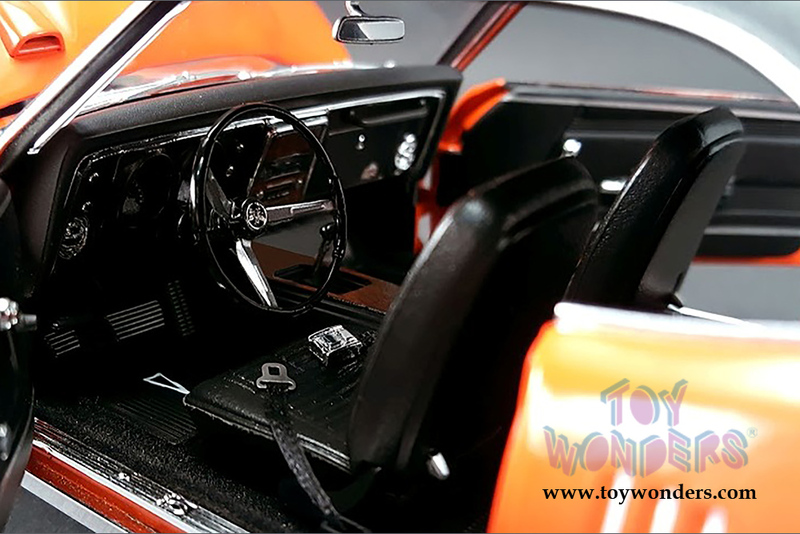 Powered by a 400 cubic inch Ram Air - I motor, there were just 413 of the real cars made with this motor, and now 510 made in 1:18 scale diecast This '68 Firebird is manufactured by Acme. 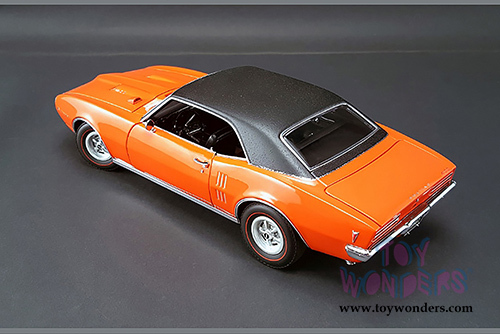 Item 1805205 comes in Carnival RED color with black top. Individually packed in decorated a box. 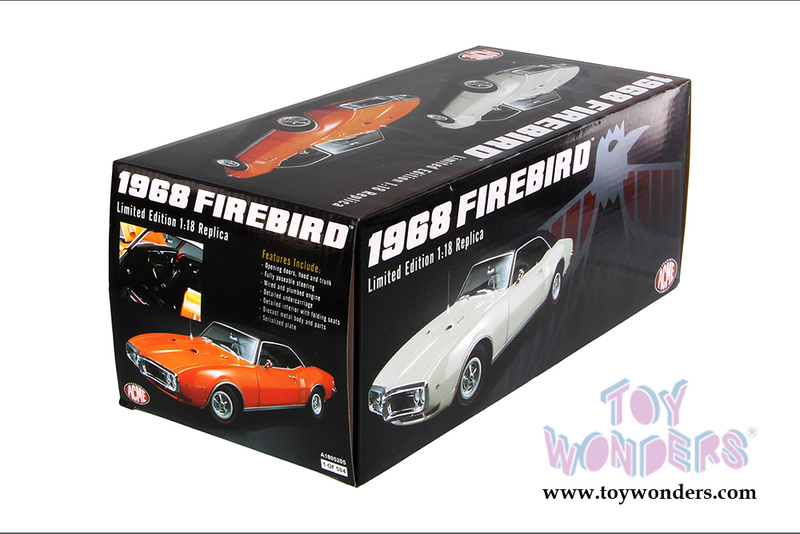 Box size: 13"L x 5.75"W x 5.25"H. Limited Edition 1 of 510 pcs.